I was worried when I agreed to provide this column for BAD CO. that people would grow bored with my memories. Then I recalled: Sam Bop has been called the World’s Most Recorded Man. From the time he could afford it, Sam made recordings of his conversations, meetings, even informal strolls through the park or elsewhere. It’s why so many revelatory documentaries exist about Sam and the Park. Then I thought: Sam was always transparent about those recordings and the Park loves to release them to allow more insight into its past. Why not integrate them into these logs so you, the reader, get a better sense of Sam and those in his world? So whenever they’re available I’ll transcribe those tapes appropriate to the story and you can be right there with us. I promised to tell you about what else happened the day I came to work for Sam. Burk Wise, another Navy friend of Sam’s, had come to show Sam what he had been doing since the war. He had been developing animated cartoons even while he was in the service, like Ted Siegel or Sparky Brown. Now that he was out he was on his way to Hollywood to sign contracts. He and Sam had been close and he wanted to offer Sam a role in the new business. Sam knew very little then about that kind of entertainment, but he had helped Burk get on his feet and both men knew they wanted to maintain a business relationship. Sam gave Burk $5000 to help cover his expenses getting across the country and setting up in California, and they signed an agreement giving Sam a half-interest in the new business. As much as Sam believed in his friend, he never expected the Wacky Boys to become the most successful animation and, later, film production house in the world. 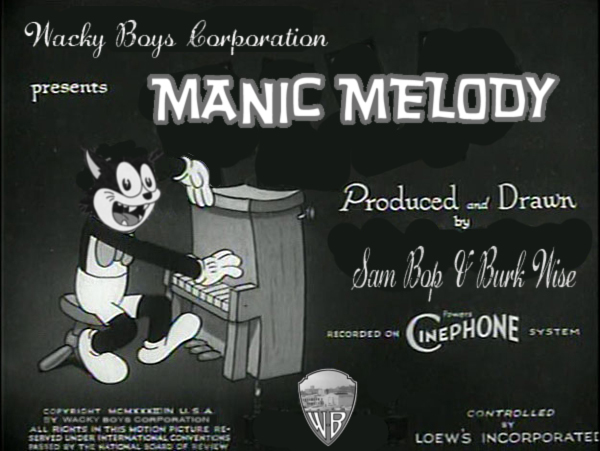 Burk’s first short, Manic Melody, was released that fall and was an immediate smash. It featured Hillbilly Cat, a seemingly slow-witted gray cat who reliably got the better of any situation (sort of like Burk himself, now that I think of it.) In Melody, ‘Billy was hired to sweep up a theatre. The piano player arrived for work drunk and ‘Billy changed clothes with him, stuffed him in a closet, and played his shift. The audience loved him and demanded the owner keep him. The owner was outraged and threw ‘Billy out. It turned out the piano player was the owner’s nephew and the owner’s wife pummeled him with an umbrella for 1) letting her nephew get drunk and 2) letting him be locked in a closet. The owner had to retain his nephew-in-law, while ‘Billy took a job playing piano across the street at his competitor’s theatre. The audience, of course, abandoned the first theatre en masse and the short closed on ‘Billy pounding the piano with a giddy smile while money rained around him. 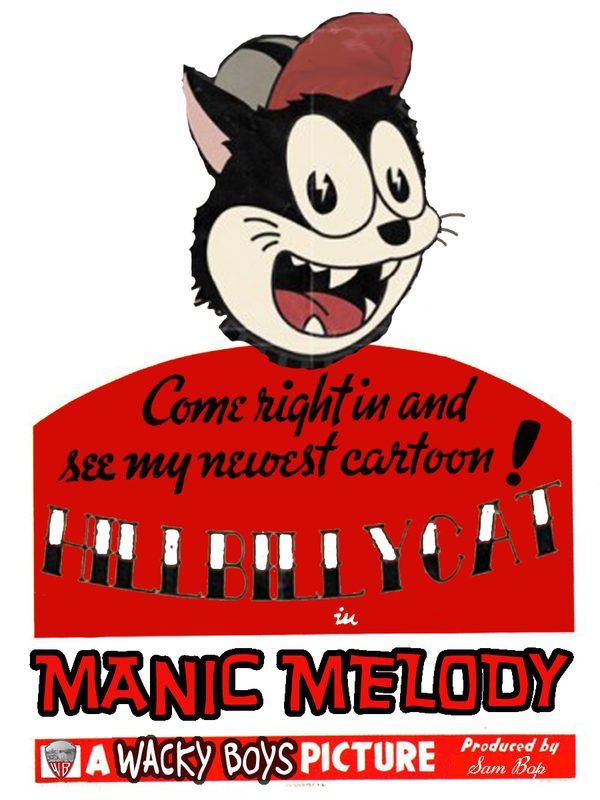 It was a new kind of madcap cartoon, and more importantly featured the kind of music Sam had championed in the service when Burk met him: a raucous, rhythm-driven dance beat with a playful melody on top. Anthony Chess would have recognized it instantly, and in fact the Wacky Boys would produce promotional films for him and many other rock and roll pioneers in the next decade.